Chevron has been on trend for a few months now, but more recently than ever has it been showing up everywhere, this angled V-shaped pattern is popping up everywhere from shorts to sweaters, and even Iphone cases, and dishes! There are so many ways you can add this chevron trend into your life without making yourself dizzy! 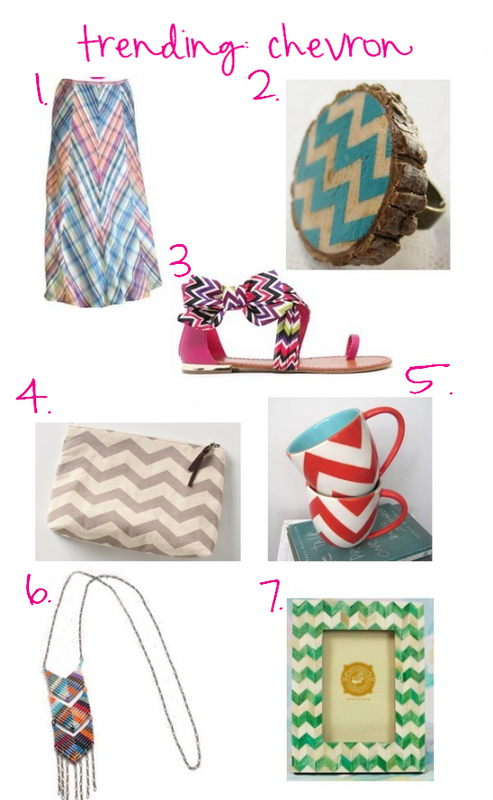 Let me know if and how you added chevron in your life, weather by fashion, jewerly, or in your home? I’m obsessed, I will be sharing a post with you soon on how I have added chevron in my life!